This article is about the battle in the Yom Kippur War. For the religious phrase, see Vale of tears. For the Fats Domino song, see Valley of Tears (song). Map of the Golan campaign. The Valley of Tears (Hebrew: עֵמֶק הַבָּכָא, Emek HaBakha) is the name given to an area in the Golan Heights after it became the site of a major battle in the 1973 Yom Kippur War, known as the Valley (or Vale) of Tears Battle, which was fought between the 6th and 9th of October. Although massively outnumbered, the Israeli forces managed to hold their positions and on the fourth day of the battle the Syrians withdrew, just as the Israeli defenses were almost at the point of collapse. An Israeli Centurion tank upgraded as "Sho't Kal" tank. On Rosh Hashana eve, the Israeli 7th Brigade was ordered to move one battalion to the Golan Heights to strengthen the Barak Armored Brigade, under the command of Yitzhak Ben Shoham. The brigade commander Avigdor Ben-Gal concluded that something would happen on Yom Kippur. He ordered his artillery troops to survey the area and prepare targets and firing tables. He held a meeting with his battalion commanders to go over the main points of the operational plans that were previously implemented in the Israeli Northern Command. Without notifying his superiors, he took them on a tour of the front line. By 12:00 on Yom Kippur, 6 October, the brigade was concentrated in the Nafakh area. Nafakh was an important military base at the junction of the Petroleum Road, which crosses diagonally the northern Golan Heights, and a road which leads down to the strategic Bnot Yaakov Bridge over the Jordan River and into northern Israel. Israeli Intelligence estimated that Syria had more than 900 tanks and 140 batteries of artillery immediately behind the Syrian line. The Syrian 7th Division was one of the units ready to attack. The actual number of Syrian tanks was about 1,260. Each Syrian infantry division had one infantry brigade, one mechanized infantry brigade, and one armored brigade. The infantry and mechanized infantry brigades each had three infantry battalions, a battalion of forty tanks, an AA artillery battalion and a field artillery battalion. The armored brigade had three battalions of forty tanks each. The division also had a regiment of division field artillery, a divisional AA field artillery regiment, a reconnaissance regiment with a company attached to each brigade and a chemical company with a section attached to each brigade. The total force of the division was about 10,000 men, 200 tanks, 72 artillery pieces and 72 anti-aircraft guns and SAMs. The 7th Division, under the command of Brigadier-General Omar Abrash, had about 80% of its tanks and APCs. There were also independent armored brigades with about 2,000 men and 120 tanks each. One of the independent brigades attached to Abrash's division was a Moroccan brigade. In the rear were the 1st and 3rd Armored Divisions, with 250 tanks each. The Syrian attack force was backed by at least 1,000 artillery pieces. The Syrian plan was for the 7th Division to break through near Ahmadiyeh in the north while the 5th Division did the same near Rafid in the south. This would lead to the double envelopment of most of the Israeli forces in the Golan. Each division was to advance in two echelons, the 7th Division to strike westward through El Rom and Wassett while the 5th Division advanced to the Arik Bridge north of the Kinneret. If the 5th Division broke through, or if both the 5th and 7th did, the 1st Division would drive between the 5th and 9th for Nafakh to attack the Israeli forces caught between the pincers of the 5th and 7th. The Israeli forces in the Golan were 170 tanks and 60 artillery pieces divided between the 7th and the Barak brigades. At 10:00 on Yom Kippur, Ben-Gal and other brigade commanders convened with General Yitzhak Hofi in Nafakh, where Hofi told them that Intelligence was estimating the Syrians would attack that day, at around 18:00. The 7th Brigade was assigned as a reserve force around Nafakh and was to prepare for a counterattack in either the north or south sector, or to split and support both. Ben-Gal then drove to meet one battalion in Sindiana and address the officers. He called an orders group at Nafakh for 14:00, assuming it would give his second Battalion enough time to organize. As they gathered to wait for him, the Syrian artillery and planes began to attack. Ben-gal's men ran back to their battalions while Ben-Gal moved the headquarters out of the camp. After an hour, he was ordered to move to the northern sector in the Kuneitra area and to transfer the 2nd battalion to the southern sector, under command of the Barak Brigade. The 7th Brigade was left in charge of the northern sector from Kuneitra northwards with two battalions. As part of his usual strategy, Ben-Gal decided to maintain a reserve force, and began building a third battalion. He transferred a company from one battalion and placed it under the command of his armored infantry battalion, thus creating a third battalion framework with tanks. With reinforcements, the new battalion gradually became a proper one: Ben-Gal now had three battalions available for maneuvering purposes. He received Lieutenant-Colonel Yair Nafshi's 74th Battalion, which was in the line with the fortifications in the northern sector. With Nafshi's battalion, the brigade had about 100 tanks. The first battalion was stationed on the Purple Line. 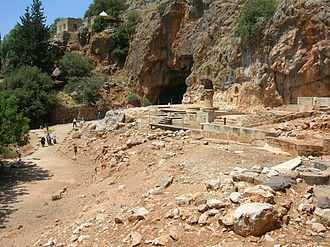 The line began at the fortification A1, directly east of Mas'ade on the foothills of Mount Hermon, and ran south about six kilometres to Mount Hermonit. At 13:55, while Nafshi's sector came under a heavy artillery barrage, several soldiers along the Purple Line reported that the Syrians were removing the camouflage nets from their tanks and artillery. Ben Shoham ordered his battalion commanders, Nafshi and Oded Erez, to deploy their nearly seventy Centurion tanks in prepared battle positions. Nafshi was at Kuneitra when the order came to deploy his platoons and move his headquarters somewhere safer. He immediately ordered his troops to leave the town, and the tanks to advance while the soft vehicles fell back. Erez's 53rd Battalion was moved to the southern Golan. One of Nafshi's platoons of three tanks was near the Wassett crossroads when Syrian jets attacked Tel Abu Nida. When the jets departed, the crews began moving to the bunker line. After one kilometre, they came under large-caliber artillery fire. Before 14:00, Nafshi reported to his brigade headquarters that his battalion was ready for combat and was manning the Booster ridge. 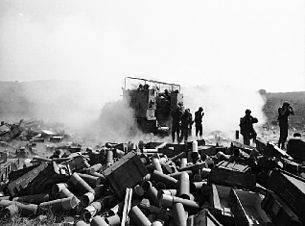 The Syrian 85th Infantry Brigade assault column reached the Israeli anti-tank ditch before its officers noticed that the engineers were not in the vanguard. They decided to dismount tank crewmen and mechanized infantrymen and rush them on foot to improvise crossings. This halted the attack in full Israeli view and exposed the men to Israeli fire. Nafshi ordered his men to destroy the bridging tanks. During the afternoon the Israelis destroyed most of the Syrian bridging tanks within sight, putting them out of action with shots fired at a range of 1.8 km (2,000 yd). Only two of the bridging tanks managed to reach the anti-tank ditch north of A3. The Syrians threw two bridges and a company of ten tanks crossed the ditch. The Israeli Air Force (IAF) was called into action, but many planes were shot down. The first close combat commenced in the 74th Battalion's northernmost sector, against the Moroccan Brigade of thirty tanks. One Israeli Centurion was hit, and an Israeli platoon that was sent northward to guard the Dan Road was caught between the Moroccans moving against Tel Shaeta and a Syrian battalion closing in from the west. Avner Landau's company, now with seven Centurions, was also threatened and could not help. Nafshi delegated the area north of Hermonit to his deputy, Major Yosef Nissim, and reinforced the sector with Captain Eyal Shaham's company, leaving a company from the Armor School Tank Battalion as a tactical reserve. In forty minutes, every Barak Brigade Centurion in the northern Golan was committed. Nissim ordered Shaham to reinforce the trapped platoon around Tel Shaeta, and ordered his deputy, Lieutenant Asaf Sela, to cover the area south of Tel Shaeta, which could provide easy access to Hermonit, with one platoon. 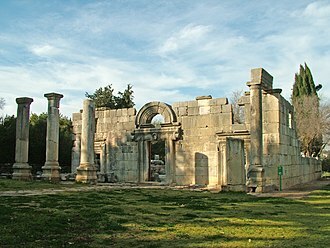 The Moroccans continued to fire at Tel Shaeta, but did not advance, and the Syrian battalion was stopped when its leading vehicles were destroyed on the roadway. The Syrian battalion commander decided to move southward and try to penetrate between the Dan Road and Hermonit. He was unaware that he was moving between the forces of Shaham and Sela, who prepared a trap. They opened fire just before 15:00, using superior positions. After a little more than two hours, the Syrians withdrew, leaving behind their bridging tanks, a bulldozer tank, two BRDMs and six main battle tanks. Shaham's company lost two Centurions. Just before nightfall, Shaham noticed three SU-100 gun carriers and a truck close to Nissim's position, from which Nissim could not engage them. Shaham directed Sela, who could not see the Syrians, to intercept them. Sela, accompanied by one other Centurion, opened fire at the rear of the Syrian force and destroyed them at a range of 200 to 300 meters. Two Syrian tanks attempted to cross the open ground to the anti-tank ditch in the unguarded area south of Nissim's sector. The Syrian companies began moving toward that area, hoping to cross just before nightfall. As darkness fell, Nafshi ordered one company to move forward towards the Syrian bridges across the ditch to destroy the tanks that had crossed. The Syrian company that crossed was hit by Landau's tanks and destroyed after half an hour. The bridgehead was sealed. In late afternoon, Hofi decided that the Barak Brigade's 65 tanks could not contain the Syrian attack alone, and committed the 7th Brigade's 105 Centurions. Believing that the northern sector was more crucial than the southern sector because of the Kuneitra Gap, he ordered Ben Gal to assume command of the area from Bunker 107 northward. The Barak Brigade was now put in charge of the southern sector, already occupied by Erez's 53rd Battalion. The 74th Battalion was transferred to the 7th Brigade, while the newly arrived 82nd Battalion, under the command of Captain Meir "Tiger" Zamir, and two companies from the newly arrived 75th Armored Infantry Battalion from the 7th Brigade to the Barak Brigade. [clarification needed] Avigdor Kahalani's 77th Battalion, which was familiar with the terrain after having worked there for a week, was returned to the 7th Brigade. Ben Gal decided to create a personal reserve by attaching one company of the 82nd Battalion to the 7th Brigade's headquarters. After an hour, the 82nd Battalion was transferred to the Barak Brigade. By nighttime, Nafshi was placed under the command of the 7th Brigade. The Syrians kept advancing in columns, using colored lights and flags to distinguish units. Some of them struck Israeli minefields. The Israeli forces did not have adequate optical equipment for night fighting, and had to gauge the position of the Syrian forces by their noise and artillery flares. Nafshi's battalion kept changing positions to avoid tank hunters. The fortifications were under heavy attack by tanks and infantry and were calling for help. Nafshi told them to go underground and provided them with supporting artillery fire. Abrash committed his division's 78th Armored Brigade in the northern sector at 22:00. He was behind schedule, but expected to make up for it if the 78th Brigade could reach and secure the Kuneitra-Mas'ade Road, four and a half kilometres west of its starting line. It was believed that achieving this mission would cause the Israeli defenses to collapse. Each of the 82nd Brigade's ninety-five T-55's tanks was equipped with a specially designed infrared nightscope. The night was brightly moonlit. The 82nd Brigade moved up the valley just two and a half kilometres from the Kuneitra-Masada Road. Ben Gal used his artillery for illumination, and ordered his men to remain silent until the Syrians were well within range. By 22:00, the Syrian tanks were within 800 meters of the Israeli positions. Both sides lost tanks to the terrain. Captain Yair Swet, a 77th Battalion company commander, was ordered to move to Booster and lost two tanks as a result. One crew managed to extricate its tank and use it to pull the other, but the delay distracted the battalion. Lieutenant-Colonel Yosef Eldar, commander of the 75th Armored infantry Battalion and responsible for the area penetrated by the 78th Brigade, was wounded, and Ben Gal ordered Kahalani to assume responsibility. At this point, Kahalani's companies were scattered across seventeen kilometres between Hermonit and Bunker 109. One Syrian tank was discovered only after Kahalani ordered one of the companies to turn off their lights. A Syrian anti-tank unit tried to advance down the Bnot Yaakov Road, in front of Bunker 107, not knowing it was occupied. The Israelis opened fire and after a brief battle the Syrians retreated. The 78th Brigade and its supporting units hunkered down. Some may surmise this was due to the swift reaction time of the Israeli crews compared to the Syrian tank crews. As the Israeli's were often firing at least two or more shells to the Syrians one, this would prove a major factor in offsetting the disparity of the forces. On the dawn of 7 October, the area between Hermonit and Booster was named "Valley of Tears" because of the great number of burning tanks lying across it. 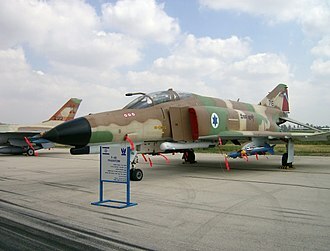 At 07:00, Israeli Skyhawks began flying over the southern Golan. The first four came down from the southwest and within seconds, they were hit by Syrian surface-to-air missiles (SAM). Several minutes later, another foursome approached and two were shot down. At 08:00, the 78th Tank Brigade of the 7th Division launched a second attack. It advanced along a 4 kilometre wide front in the valley in the direction of Wassett. The 75th Battalion was fighting a Syrian brigade, at ranges varying from 9–2,100 m (10–2,300 yd). Meanwhile, the 74th Battalion in the north was attacked by two Syrian battalions, supported by an armored infantry force in APCs, most of which were destroyed. The Syrian objective in this attack was a wadi running in the direction of Wassett along the base of Hermonit. Shaham was killed just before 13:00, a short time before the Syrians withdrew. The 77th Battalion was moved from south of Kuneitra to the central sector at Hermonit. Kahalani was ordered to leave a small force to the south to protect the brigade flank. The 74th Battalion, having lost about ten tanks, remained in the north. The company Kahalani left behind was attacked in the afternoon, but the attacking Syrian force of about twenty tanks was destroyed. The 7th Brigade lost three company commanders in the morning fighting, and over a dozen tanks were damaged or destroyed, none of which were replaced. Late in the day, Ben Gal met with Kahalani and Eldar, who was wounded, on the southern slope of Booster to review the events. Meanwhile, Kahalani's deputy, Major Eitan Kauli, supported the forces fighting in that sector. With troops from the 75th Battalion, he began rearming, refueling, and salvaging tanks and APCs. Three Centurions at a time were withdrawn from the front-line positions and worked over at Wassett. This gave the crewmen a chance to eat, drink, and rest, and improved the brigade's morale. The Syrians attacked the central sector again at 22:00 with artillery. The 7th Division was joined by the 64th and 66th Field Artillery Regiments with the 81st Brigade, led by T-62 tanks, which were turned over from the General Headquarters to allow Abrash to mount a new offensive around the Tapline-Wassett crossroads in the north-central Golan. The 81st Brigade arrived five hours after it was ordered out of the Kiswe, Syria Military Base. With 400 artillery pieces, the 85th Infantry Brigade was to commit a company each of tanks and infantry to its divisional northern sector. The 78th and 81st Brigades were to commit over a hundred infantry-supported tanks in the divisional central sector, and the 121st Mechanized Brigade was to press some of its assault on Kuneitra with the help of BRDM-mounted Sagger anti-tank missiles. All units were to be equipped with anti-tank weapons, mostly RPGs. In total, about 500 tanks were to attack at 22:00. Nafshi's force of five tanks at Bunker 107 was the first to report the new Syrian attack. Given the small size of his force, Nafshi's position was vulnerable when faced with this heavy attack, and his tank's turret was damaged. He decided to allow the T-62s to close in on in order to reduce the Syrian advantages of numbers and night-vision. Close to 22:00, the Syrians approached within 450 meters of the bunker. He hit two tanks and whispered commands through his microphone. After four minutes, 25 Syrian tanks were destroyed and their attack disturbed. Nafshi's force suffered no casualties. Most of the Syrian artillery fire fell on the Israeli units in the north. Kahalani warned his men to remain on the lookout for antitank squads. The Israeli brigade, with less than 40 tanks, was facing approximately 500 Syrian tanks. Due to the Israelis' lack of night-fighting equipment, the Syrians reached within close range, and a battle commenced at ranges of 27–55 m (30–60 yd). The Syrian tanks and commandos bypassed the Israelis and destroyed many tanks with RPGs. At 01:00, the Syrians retreated, trying to evacuate damaged tanks and wounded. Ben-Gal struck the area with artillery and used the interval to refuel and reload. At 04:00, the Syrians renewed their attacks. This time, they attacked mainly with artillery and did not renew any major tank assaults. Only in the 7th Brigade's southern sector, the 7th Syrian Division 121st Mechanized Brigade was able to hold on. At dawn, 130 Syrian tanks and many APCs were lying in the valley, many of them behind or between the Israeli positions. During the night, two Syrian infantry battalions attacked the position on Hermonit and were fought off by less than twenty Israeli infantry troops from the Golani Brigade. Dozens of bodies were left lying on the battlefield. On 8 October, the 7th Brigade fought against elements of the 7th Infantry Division, the 3rd Armored Division and independent units, including the Assad Republican Guard. On the brigade's southern flank, Zamir's company fought an armored force that had entered the area during the night. Zamir's force of seven tanks held the attack and eliminated about thirty Syrian tanks, two APC companies and twenty vehicles. In the afternoon, three individual Syrian tank battalion concentrations with armored infantry tried to break through in the Hermonit area. The Syrian artillery identified the Israeli positions and inflicted most of its casualties. The 7th Brigade lost about 50 dead and many wounded, and were left with less than 45 working tanks. Ben-Gal decided to create a reserve of five tanks under the command of his operations officer, whom he ordered to move back about half a kilometre away and prepare to block a Syrian breakthrough. At dusk, Abrash's tank was hit just as he was getting it ready for a new attack, and he was killed. At night, the Syrians attacked the central sector towards Booster. Ben-Gal ordered Zamir's company to counterattack from the flank and the rear of the enemy. Zamir's seven tanks managed to break the attack. A destroyed Syrian T-55 tank at Nafakh on the Golan Heights. The Northern Command was trying to put together a command reserve, but could only assemble the survivors of the 53rd Battalion. The Barak Brigade had almost ceased to exist: Its commander and key staff officers were dead, and almost all of its troops and equipment were absorbed into other brigades. Lieutenant-Colonel Yossi Ben Hanan arrived the night before to take command of what was left of it. He had been the commander of the 53rd Battalion until two weeks earlier, and was on his honeymoon when the war started. He was sent to reorganize the brigade. He teamed with Erez, who had escaped from Tel Faris on Monday morning, and Shmuel Askarov, the 53rd Battalion's deputy commander, to start repairing tanks. At 1800, he reported to his division commander, General Rafael Eitan that he was ready to bring forward the thirteen Centurions he had repaired thus far, and was ordered to head for Nafakh. He was on his way when the IAF confirmed that about 100 Syrian tanks were headed toward the 7th Brigade's sector. One air photo depicted a complete Syrian battalion of thirty-eight T-62s and four BMPs. At dawn on 9 October, the Syrians launched the heaviest artillery barrage thus far, using Katyusha rockets and MiG-17s. Seven Syrian helicopters flew over the Israeli positions to Buq'ata, where four of them discharged commando forces. At 08:00, a Syrian force of 100 tanks and a large number of APCs began to advance. The Israelis opened fire at maximum range but the Syrian advance continued. The Israeli commanders were exposed in their turrets and the artillery caused the number of casualties among them to grow significantly. Ben-Gal ordered his force to leave the high ramps and withdraw some 360 m (390 yd) to escape the artillery concentrations. Nafshi was ordered to join the 7th Brigade's area. He entered the battle with six tanks and was hit. He joined another tank and left A3. He ordered all the men under cover and requested Israeli artillery shelling of the position for protection. Later that day, he organized a supply convoy to A3. His tank was hit by a Syrian bazooka near Kuneitra and the tank behind him reported him dead. Nafshi continued with three APCs past Booster and entered A3 with the supplies. When the 7th Brigade withdrew from the hill, the artillery stopped and Syrian tanks mounted the hill to fire at them. Ben-Gal's 7th Battalion had only six tanks and was acting as a brigade reserve, Nafshi had six tanks, and the operations officer was patrolling Buq'ata for the commandos. Zamir was fighting on Tel Git and was running out of ammunition, so he asked for permission to withdraw and reload. Ben-Gal refused at first, but relented when he was told there was only one shell per tank. Ben-Gal consulted Eitan and decided to counterattack. The 7th Battalion began to move up the hill and saw the Syrian tanks. 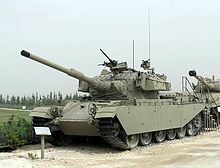 Kahalani called the other Israeli tanks behind the ramp and got little response, since they were from different units and were operating on different frequencies. The brigade communications officer cut into every company's net, but they still did not respond to Kahalani. Kahalani's gunner knocked out the Syrian tank at the top of the hill, and another one was hit by an Israeli tank from the rear of the ramp. In the north, the 74th Battalion was fighting with less than half its tanks. Ben-Gal feared that it might not be able to hold out, and ordered it to leave three tanks in the sector and move to the northern flank of the battle to face the Assad Republican Guard, which was trying to use the dead ground to move towards El Rom. The battalion commander was killed in this battle. Ben-Gal ordered the 77th Battalion to take command of the 74th Battalion. The 77th Battalion then fought two battalions of T62 tanks that got by the 7th Brigade and were about 460 m (500 yd) behind it. The 77th Battalion moved to the high ground around the valley and destroyed the Assad Republican Guard force. All the forces in the central sector, about fifteen tanks, were at this point under Kahalani's command, fighting at ranges of 230–460 m (250–500 yd) from their original positions on the ramps. The Syrians passed them and fired on them from behind. The 7th Brigade was fighting in all directions. Tanks from both sides got mixed up with the other side and struck by friendly artillery fire. Several Syrian Mi-8 helicopters flew over the valley toward El Rom. At this point, Eitan heard that Syrian infantry was approaching Buq'ata, north of El Rom. If the 7th Division were to break through, it could join the infantry force and proceed to Dan and Kiryat Shmona. Ben-Gal described the battle to Eitan and told him he was not sure he could hold on. Eitan asked him to hold on for another half-hour. At this point, the remaining eleven tanks of the Barak Brigade arrived, and Eitan directed them to Ben-Gal. Eitan told Ben-Gal of Ben-Hanan's force. Kahalani called Captain Emi Palant, the senior officer behind the ramps, to use a signal flag to get the tank commanders' attention and direct them to the ramp, but waving the flag got no response. Palant fired his machine gun at the side of the nearest tank to get the commander to look out, and the message was passed. He ran from tank to tank and rapped on their turrets to get their attention before returning to his own tank and starting to move forward. No tank followed. Kahalani heard a sergeant from the 74th Battalion and ordered him to take his position and guard the wadi. The sergeant replied he did not have any shells left. Zamir, who was flanking his position to the south, reported a massive Syrian attack and asked for permission to move the remaining tanks to Zamir's company to a better position slightly to the south. Ben-Gal refused. Kahalani reported that he was unable to control the tanks, which kept drifting to the rear. Ben-Gal said he would try to get him more tanks. Kahalani ordered the sergeant to take his place, saying the Syrians would not try to attack if they saw his tank. Kahalani moved towards the tanks behind the rampart and told their commanders to raise their flags if they heard him. He saw ten tanks, and most raised their flags. Two Israeli planes accidentally bombed them, but none of the tanks were hit. On the southern sector, Zamir reported that he was out of ammunition and could no longer hold out on Booster. His force was left with two shells per tank. He radioed Ben-Gal that he could no longer hold on. Ben-Gal asked him for ten more minutes. Zamir's tank ran out of shells, and he began to fill his pockets with grenades and withdraw. Kahalani reached the tanks behind the ramps and told them they were going to retake the ramp. He started moving and a few other tanks slowly followed. Two Syrian tanks were knocked out, but the tanks behind him began to pull back. Ben-Gal informed him on the radio that several tanks, under the command of Eli Geva, were on their way. Kahalani managed to convince the other tanks to follow him. The tank next to him hit a Syrian tank that came over the ramp. The tanks' hatches were open, and eventually they could see the valley. Syrian tanks were moving forward, fifty to 910 m (1,000 yd) away. The Israeli tanks opened fire. Kahalani ordered them to shoot only at moving tanks. Geva's force reached the ramp and joined the battle. The Syrians fired a heavy artillery barrage. When it subsided, Kahalani could see no Syrian tanks moving ahead. Zamir had two tanks left and requested permission to withdraw, but Ben-Gal turned him down. He began to withdraw just as a force from the south, under the command of Ben Hanan, was arriving. Askarov took a position near Ben Hanan and the rest of the unit formed a battle line. Ben Hanan's face was wounded and he passed command to Askarov to get treatment. The force destroyed about thirty Syrian tanks. The 7th Brigade was left with seven tanks, and Ben-Gal told Eitan he could no longer hold on. Then A3, surrounded by Syrian forces, reported that the Syrian supply trains were turning around and withdrawing. Dennie Agmon, Eitan's intelligence officer, told him that the Syrian General Staff had decided to retreat. The Syrian forces began to withdraw. The 7th Brigade, including reinforcements, totaled some twenty tanks. It began to pursue the Syrians but stopped at the anti-tank ditch. About 260 tanks were lying in the valley. The Syrians lost over 500 tanks and APCs and the Israelis lost 60 to 80 armored vehicles. One brigade from the 7th Division was taken out of action for three days and then reorganized as a battalion. Eitan told the 7th Brigade over the radio: "You have saved the people of Israel". 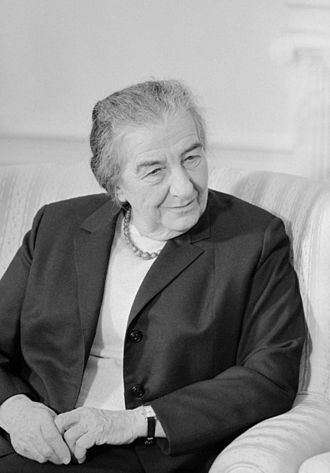 Ben Gal told Kahalani: "You are the true savior of the people of Israel". In the afternoon, the brigade's tanks pulled back a few at a time for ammunition and fuel. Ben Gal told Kahalani that the brigade has been ordered to counterattack into Syria. Eitan asked him to attack the next day, so as not to allow the Syrians time to reorganize, but Ben Gal asked for a day to allow his men to rest and refill the ranks. Kahalani was later awarded the Medal of Valor for his performance in the battle. Patrick Seale argued that the reason why the Syrians were stopped was the superiority of the IAF, which was free to devote all of its attention to the Syrian front. Kenneth Pollack wrote that the Syrian forces did not look for an alternative axis of advance and rolled forward without defending their flanks. Martin Van Creveld suggested the explanation that on October 8, when Israel felt that the battle was being lost, it threatened Syria with a nuclear strike. ^ Herzog (1975), p. 66. ^ Dupuy (2002), pp. 440–41. ^ Dupuy (2002), p. 442. ^ Dupuy (2002), p. 443. ^ Asheri, Ehud (2007-10-08). "There's no strike in the Vale of Tears". Haaretz. Retrieved 2008-11-03. Wikimedia Commons has media related to Valley of Tears. Jerry Asher; Eric M. Hammel (1987). Duel for the Golan: the 100-hour battle that saved Israel. Pacifica Military History. ISBN 978-0-935553-52-9. Retrieved 9 May 2011. Boyne, Walter J. (2002-09-14). The Two O'Clock War: The 1973 Yom Kippur Conflict and the Airlift That Saved Israel (1st ed.). Thomas Dunne Books. p. 320. ISBN 0-312-27303-7. Dupuy, Trevor N. (2002). Elusive Victory: The Arab-Israeli Wars, 1947–1974. Military Book Club. ISBN 0-9654428-0-2. Herzog, Chaim (1975). The War of Atonement. Steimatzky. Kenneth M. Pollack (1 September 2004). Arabs at war: military effectiveness, 1948–1991. U of Nebraska Press. ISBN 978-0-8032-8783-9. Retrieved 9 May 2011. Rabinovich, Abraham (2005-10-04). The Yom Kippur War: The Epic Encounter That Transformed the Middle East. Schocken. p. 592. ISBN 0-8052-1124-1. Patrick Seale (1988). Asad of Syria: the struggle for the Middle East. University of California Press. ISBN 978-0-520-06976-3. Retrieved 9 May 2011. Martin Van Creveld (1998). The sword and the olive: a critical history of the Israeli defense force. PublicAffairs. ISBN 978-1-58648-155-1. Retrieved 9 May 2011. Kahalani, Avigdor (1992-02-28). The Heights of Courage: A Tank Leader's War On the Golan. Praeger Paperback. p. 198. ISBN 0-275-94269-4. Berger, Josef (2017-06-03). Unknown Syrian Helicopter Landings During the Yom Kippur War: How a military system confuses itself ... Amazon e-book. p. 46. ASIN B072JRDLHV. Breaking out of their newly established bridgehead west of the Canal at the northern end of the Great Bitter Lake, the IDF launched an offensive from Deversoir toward Ismailia. A combined force of Egyptian paratroopers and commandos fought a battle, falling back upon defensive positions further north under increasing pressure from IDF infantry. By October 22, they were occupying a last line of defense, though outnumbered, they repulsed a final Israeli effort to capture the city, a United Nations ceasefire was imposed, bringing the battle to an end. On October 6,1973, Egypt launched Operation Badr, which started the Yom-Kippur War and it succeeded in crossing the Suez Canal and establishing bridgeheads on the east bank in Israeli-occupied Sinai, and counter-attacks by launched by Israeli reserves were unsuccessful. By October 10, fighting along the front had come to a lull, Egyptian President Anwar Sadat soon ordered an offensive to seize the strategic Sinai mountain passes, despite protests and objections by his senior commanders against such an offensive. 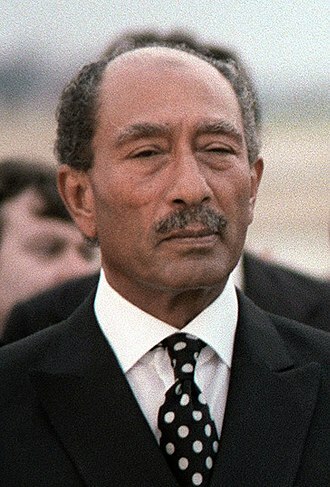 Sadat hoped to divert Israeli pressure from the Syrians, the October 14 offensive was ill-planned and ill-executed, and culminated in heavy Egyptian losses without achieving any objectives. Optimistically planned, the operation began smoothly, but quickly ran into problems, the Israelis faced difficulties in establishing a corridor to the canal due to unexpectedly determined resistance by Egyptian defenses, in what became known as the Battle of the Chinese Farm. After several days of fighting, they were able to secure the roads to the canal. By the next day there were three Israeli armored divisions across the canal, the west bank of the canal was lined with a series of ramparts up to 30 meters high, which the Egyptians referred to as strong points. These were used during the days of the war to allow Egyptian forces to directly fire on the Israelis on the east bank. There were five points between the Great Bitter Lake and the Ismailia Canal, from north to south, a pumping station at Deversoir. The Israeli Air Force operates as the aerial warfare branch of the Israel Defense Forces. It was founded on May 28,1948, shortly after the Israeli Declaration of Independence, as of May 2012 Aluf Amir Eshel serves as the Air Force Commander. The Israeli Air Force formed on May 28,1948, using commandeered or donated civilian aircraft and obsolete, more aircraft were procured, including Boeing B-17s, Bristol Beaufighters, de Havilland Mosquitoes and P-51D Mustangs. The Israeli Air Force played an important part in Operation Kadesh, on June 5,1967, the first day of the Six-Day War, the Israeli Air Force executed Operation Focus, crippling the opposing Arab air forces and attaining air supremacy for the remainder of the war. 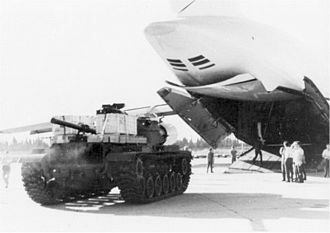 Shortly after the end of the Six-Day War, Egypt initiated the War of Attrition, on October 7,1973, the IAF conducted Operation Tagar against Egyptian air bases of the Egyptian Air Defence Force. 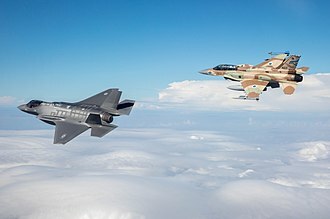 Although initially successful, with 10 bases hit, the urgency of the fighting on the Golan heights forced the operations suspension, since that war most of Israels military aircraft have been obtained from the United States. Among these are the F-4 Phantom II, A-4 Skyhawk, F-15 Eagle, the Israeli Air Force has operated a number of domestically produced types such as the IAI Nesher, and later, the more advanced IAI Kfir. On June 7,1981, eight IAF F-16A fighters covered by six F-15A jets carried out Operation Opera to destroy the Iraqi nuclear facilities at Osiraq, on June 9,1982, the Israeli Air Force carried out Operation Mole Cricket 19, crippling the Syrian air defence array. The IAF continued to mount attacks on Hezbollah and PLO positions in south Lebanon, on October 1,1985, In response to a PLO terrorist attack which murdered three Israeli civilians in Cyprus, the Israeli air force carried out Operation Wooden Leg. 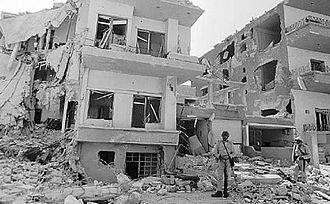 The strike involved the bombing of PLO Headquarters in Tunis, by F-15 Eagles, in 1991, the IAF carried out Operation Solomon which brought Ethiopian Jews to Israel. In 1993 and 1996, the IAF participated in Operation Accountability and Operation Grapes of Wrath and it took part in many missions since, including during the 2006 Lebanon War, Operation Cast Lead, Operation Pillar of Cloud and Operation Protective Edge. On September 6,2007, the Israeli Air Force successfully bombed an alleged Syrian nuclear reactor in Operation Orchard, squadron markings usually go on the tail fin. Forerunners of the Israeli Air Force were the Palestine Flying Service established by the Irgun in 1937, and Sherut Avir, the Israeli Air Force formed on May 28,1948, shortly after Israel declared statehood and found itself under attack. The force consisted of a hodge-podge of commandeered or donated civilian aircraft converted to military use, a variety of obsolete and surplus ex-World War II combat-aircraft were quickly sourced by various means to supplement this fleet. Creativity and resourcefulness were the foundations of early Israeli military success in the air, Israels new fighter-arm first went into action on May 29,1948, assisting efforts to halt the Egyptian advance from Gaza northwards. Four newly arrived Avia S-199s, flown by Lou Lenart, Modi Alon, Ezer Weizman and Eddie Cohen, although damage to the enemy was minimal, two aircraft were lost and Cohen killed, nevertheless the attack achieved its goal and stopped the Egyptians. Rosh Hashanah is the Jewish New Year. The biblical name for this holiday is Yom Teruah, literally day shouting/blasting and it is the first of the Jewish High Holy Days specified by Leviticus 23, 23–32, which usually occur in the early autumn of the Northern Hemisphere. Rosh Hashanah is a celebration, which begins on the first day of Tishrei. Tishrei is the first month of the Jewish civil year, according to one secular opinion its origin is in the beginning of the economic year in the ancient Near East, marking the start of the agricultural cycle. Rosh is the Hebrew word for head, ha is the definite article, thus Rosh HaShanah means head the year, referring to the Jewish day of new year. The term Rosh Hashanah in its current meaning does not appear in the Torah and these same words are commonly used in the Psalms to refer to the anointed days. In the Siddur and Machzor Jewish prayer-books Rosh Hashanah is called Yom Hazikaron, the Hebrew Rosh HaShanah is etymologically related to the Arabic Ras as-Sanah, the name chosen by Muslim lawmakers for the Islamic New Year. Rosh Hashanah marks the start of a new year in the Hebrew calendar and it is the new year for people and legal contracts. The Mishnah sets this day aside as the new year for calculating calendar years, Jews are confident that Rosh Hashanah represents either figuratively or literally Gods creation ex nihilo. However, according to Rabbi Eleazar ben Shammua, Rosh Hashanah commemorates the creation of man, the earliest origins of the Hebrew New Year are connected to the beginning of the economic year in the agricultural societies of the ancient Near East. The New Year was the beginning of the cycle of sowing and harvest, the Mishnah contains the second known reference to Rosh Hashanah as the day of judgment. The names of the righteous are immediately inscribed in the book of life, the intermediate class are allowed a respite of ten days, until Yom Kippur, to reflect and become righteous, the wicked are blotted out of the book of the living forever. In Jewish liturgy, Rosh Hashanah leads to Yom Kippur, which is described as the day of judgment, the assumption is that everyone was sealed for life and therefore the next festival is Sukkot that is referred to as the time of our joy. The SU-100 was a Soviet tank destroyer armed with a powerful 100 mm anti-tank gun in a casemate superstructure. It was used extensively during the last year of World War II, introduced to service in 1943, the SU-85 was quickly rendered obsolete as a new design featured the same gun on the T-34-85. This prompted the design of a more advanced tank destroyer with an even more powerful cannon. Development was conducted under supervision of L. I, chief designer of all medium Soviet self-propelled guns. The work started in February 1944 and the first prototype of the SU-100, after intensive testing with different models of 100 mm gun Soviet engineers approved the D-10S gun for mass production. This gun was developed in Constructors Bureau of Artillery Factory No.9 under guidance of F. F. Petrov, after the Second World War this gun was installed on T-54 and T-55 tanks and its derivatives were in service forty years after initial development. It was built at the UZTM in Yekaterinburg, the SU-100 quickly proved itself to be able to penetrate around 125 mm of vertical armor from a range of 2,000 m and the sloped 80 mm front armor of the German Panther from 1,500 m.
Its German Jagdpanzer-family counterparts — the Jagdpanzer IV, Jagdpanther and Jagdtiger, by comparison, for better ventilation two ventilator units were installed, instead of only one as in the SU-85. Mass production began in September 1944, the SU-100 saw extensive service during the last year of the war. It was used en masse in Hungary in March 1945, when Soviet forces defeated the German Operation Frühlingserwachen offensive at Lake Balaton, by July 1945,2,335 SU-100s had been built. The vehicle remained in service with the Red Army well after the war, production continued in the Soviet Union until 1947 and it was withdrawn from Soviet service in 1957 but many vehicles were transferred to reserve stocks. Some exist to this day in the Russian Army holding facilities, many Warsaw Pact countries used the SU-100, as did Soviet allies such as Egypt and Cuba. A few SU-100 were delivered to Yugoslavia after the war, under the designation M-44, the SU-100 saw service in the fighting that accompanied the 1956 Suez Crisis, in which the Egyptians used SU-100s against Israels M4 Sherman tanks. The purple line was the ceasefire line between Israel and Syria after the 1967 Six Day War. Syria gained independence from France in 1946 and on May 14,1948 the British withdrew from Palestine as Israel declared its independence, Syrian forces participated in the 1948 Arab-Israeli War between Arab forces and the newly established State of Israel. In 1949, armistice agreements were signed and a border between Syria and Israel was delineated. Syrian and Israeli forces clashed on numerous occasions in the spring of 1951, the hostilities, which stemmed from Syrian opposition to an Israeli drainage project in the demilitarized zone, ceased on May 15, after intercession by the United Nations Security Council. In June 1967 after battling Syria and Egypt in the Six Day War, in a surprise attack consisting of a massive armored thrust, the Syrians crossed the Purple Line into the Golan Heights during the 1973 Yom Kippur War. In the disengagements negotiations after the war and Syria agreed on May 31,1974 to pull back their forces on the Golan Heights to the Purple Line. The Sea of Galilee, Lake of Gennesaret, or Lake Tiberias, is a large freshwater lake in Israel. It is approximately 53 km in circumference, about 21 km long and its area is 166.7 km2 at its fullest, and its maximum depth is approximately 43 m. At levels between 215 metres and 209 metres below sea level, it is the lowest freshwater lake on Earth, the lake is fed partly by underground springs although its main source is the Jordan River which flows through it from north to south. The Sea of Galilee is situated in northeast Israel, between the Golan Heights and the Galilee region, in the Jordan Rift Valley, the caused by the separation of the African and Arabian Plates. 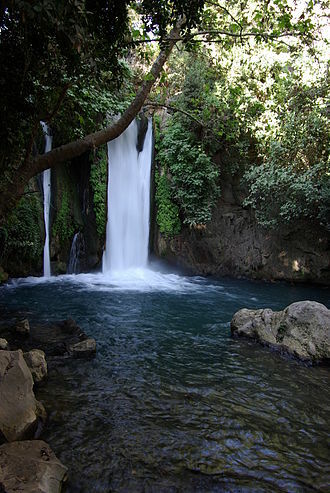 Consequently, the area is subject to earthquakes, and in the past and this is evident by the abundant basalt and other igneous rocks that define the geology of the Galilee. The lake has been called by different names throughout its history, with changing fate of the towns, the lakes name changed. This name was found in the scripts of Ugarit, in the Aqhat Epic. Kinneret was listed among the cities in Joshua 19,35. A persistent, though likely erroneous popular etymology of the name presumes that the name Kinneret may originate from the Hebrew word kinnor, the scholarly consensus though is that the origin of the name lies with the important Bronze and Iron Age city of Kinneret, excavated at Tell el-Oreimeh. However, there is no evidence that the city of Kinneret itself was not named after the body of water rather than vice versa, or for the origin of the towns name. Sea of Ginosar The Babylonian Talmud, as well as Flavius Josephus mention the sea by the name Sea of Ginosar after the fertile plain of Ginosar that lies on its western side. Ginosar is yet another name derived from Kinneret, Sea of Tiberias is the name mentioned in Roman texts and in the Jerusalem Talmud, and was adopted into Arabic as Buhairet Tabariyya, Lake Tiberias. This is the name employed by the medieval Persian and Arab scholars Al-Baladhuri, Al-Tabari, in 1989 remains of a hunter-gatherer site were found under the water at the southern end. 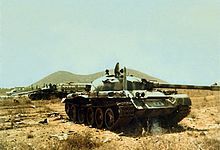 The Battle of the Chinese Farm took place during October 15 to October 17,1973 between the Egyptian Army and the Israel Defense Forces, as part of the Yom Kippur War. It was fought in the Sinai Peninsula, north of the Great Bitter Lake and just east of the Suez Canal, the battle began when the IDF launched Operation Abiray-Lev, attempting to establish a corridor to the canal and allow bridges to be laid for a crossing. Accordingly, the Israelis attacked Egyptian forces in and around the Chinese Farm, determined Egyptian resistance made progress extremely slow for the Israelis, who suffered heavy losses. The Israelis were repeatedly reinforced with armor but were unable to make much headway, suffering from a lack of infantry, the Israelis brought up paratroopers during the night of October 16/17. They were tasked with clearing anti-tank defenses for the armor, the paratroopers drew Egyptian attention long enough for the Israelis to move bridging equipment to the canal undetected. Armored forces extricated the paratroopers, the Egyptians attempted to restore their defenses to their initial dispositions with an armored attack on October 17. It initially succeeded, but was pushed back by Israeli counterattacks in a battle lasting the entire day. 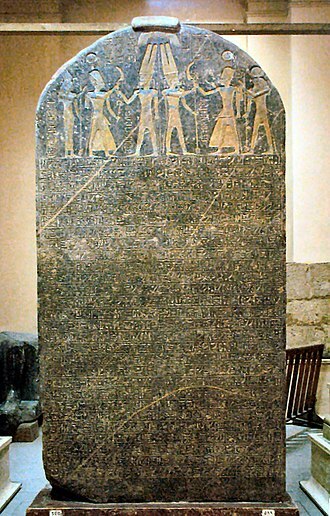 Seriously depleted by the fighting, the Egyptians relinquished control of the routes to the canal. The battle is remembered as one of the most costly and brutal battles of the war, coordinated with a Syrian assault on the Golan Heights, the crossing achieved tactical surprise and was a success. Thereafter, counterattacks by Israeli reserves were unsuccessful, by October 10, fighting along the front had come to a lull. Israeli failures led to the replacement of the chief of the Israeli Southern Command, Major General Shmuel Gonen, with Chaim Bar-Lev, the resulting offensive was ill-planned and ill-executed, culminating in heavy Egyptian losses without achieving any of its objectives. This gave the Israelis the initiative to launch a counteroffensive, elazar emphasized the military and political gains of the operation, and the expected collapse that would occur in the Egyptian forces on the east bank when their supply routes became threatened. Operation Nickel Grass was an overt strategic airlift and operation conducted by the United States to deliver weapons and supplies to Israel during the 1973 Yom Kippur War. The U. S. support helped ensure that Israel survived a coordinated and surprise attack from the Soviet-backed Arab Republic of Egypt and Syrian Arab Republic. Following a U. S. This, and the failure of major pricing. In an attempt to undermine the United States ally, the Arab states were trained and supplied by Moscow. The Soviet Union had supplied Egypt and Syria over 600 advanced surface-to-air missiles,300 MiG-21 fighters,1,200 tanks, a modest effort soon began, but Kissinger still hoped to keep any visible involvement at a minimum. Kissinger learned of this threatening nuclear escalation on the morning of 9 October, on that same day, Meir issued a personal appeal for military assistance, which European nations declined. U. S. President Richard Nixon, ordered the commencement of Operation Nickel Grass, the decision was taken the same day the Soviets began their own resupply operation of Arab forces by sea. Anecdotal evidence suggests that Kissinger had told Anwar El Sadat that the reason for the U. S. airlift was that the Israelis were close to going nuclear. However, subsequent interviews with Kissinger, James Schlesinger, and William Quandt suggested that the aspect was not a major factor in the decision to re-supply. These officials cited the ongoing Soviet re-supply effort and Sadats early rejection of a ceasefire as the primary motivators. Initially, only the Israeli national airline, El Al, provided transport, and supplies began to arrive in Israel on 10 October, nonetheless, it was soon clear that El Als limited supply of ill-configured passenger aircraft were insufficient. Still wanting to avoid direct US involvement, starting 10 October, none of these were willing to accept the job for fear of being refused entry to Arab nations after the war. On 12 October, Nixon decided that no more delays could be allowed, within nine hours, C-141s and C-5s were en route to Israel. Portugal seemed willing to help though, so aircraft were dispatched to Lajes Field in the Azores Islands, after a few hours in the air, word came through that Portugal would permit them to land, and Lajes became a key staging point for the rest of the airlift. The Battles of Fort Budapest refer to two attempts by the Egyptian Army to capture Fort Budapest, part of the Bar Lev Line during the Yom Kippur War. 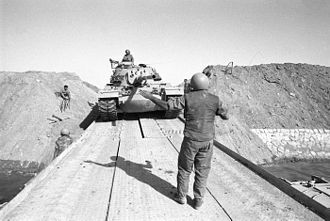 The first attempt took place at noon on October 6,1973 with the start of Operation Badr, the second attempt took place on October 15, at the onset of Operation Stouthearted Men, the Israeli military operation to cross the Suez Canal. Fort Budapest was the northernmost fort of the Israeli Bar Lev Line, unlike all other Bar Lev Line fortifications, Budapest was not located on or immediately east of the Suez Canal. Rather, it was located on the Mediterranean Sea,16.5 kilometres south-east of Port Fouad. Fort Budapest was the strongest of all the Bar Lev positions due to its strategic location, the fort had exceptional engineering preparations and a considerable amount of weaponry. The fort incorporated nine bunkers, and was surrounded by barbed wire, on October 6, the fort was garrisoned by an infantry company and two tank platoons, under the command of Captain Motti Ashkenazi. The Budapest garrison had the advantage of terrain, the fort could be attacked via the salt marshes, or by a naval landing. However the marshes could only be traversed on foot and very slowly. Capturing Fort Budapest fell within the responsibility of the Port Said Sector, the commander of the sector, Major General Omar Khalid, assigned the task of capturing the fort to the 135th Independent Infantry Brigade, commanded by Brigadier General Salah Abd el-Halim. The 135th was tasked with capturing another position, Fort Orkal, the Saiqa company would join the attack via a naval landing and would be separated into two groups. One group would land four kilometers east of Budapest to isolate it, the other group would land one kilometer east of Budapest, and attack the fort. The main assault would come from the west, to be carried out by the battalion, the battalion would attack from Port Fouad, the only part of the Sinai under Egyptian control. To allow the Saiqa company to perform its landing, the Port Said Sector was to be supplied 24 assault dinghies. Yom Kippur, known as the Day of Atonement, is the holiest day of the year in Judaism. Its central themes are atonement and repentance, Jewish people traditionally observe this holy day with an approximate 25-hour period of fasting and intensive prayer, often spending most of the day in synagogue services. Yom means day in Hebrew and Kippur comes from a root that means to atone, Yom Kippur is usually expressed in English as Day of Atonement. Yom Kippur is the day of seventh month and is regarded as the Sabbath of Sabbaths. Rosh Hashanah is the first day of that month according to the Hebrew calendar, on this day forgiveness of sins is asked of God. Yom Kippur completes the period known in Judaism as the High Holy Days or Yamim Noraim that commences with Rosh Hashanah. According to Jewish tradition, God inscribes each persons fate for the year into a book, the Book of Life, on Rosh Hashanah. During the Days of Awe, a Jew tries to amend his or her behavior and seek forgiveness for wrongs done against God, the evening and day of Yom Kippur are set aside for public and private petitions and confessions of guilt. At the end of Yom Kippur, one hopes that they have been forgiven by God, the Yom Kippur prayer service includes several unique aspects. One is the number of prayer services. Unlike a regular day, which has three services, or a Shabbat or Yom Tov, which have four prayer services. 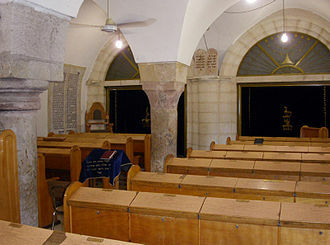 The prayer services include private and public confessions of sins, as one of the most culturally significant Jewish holidays, Yom Kippur is observed by many secular Jews who may not observe other holidays. Many secular Jews attend synagogue on Yom Kippur—for many secular Jews the High Holy Days are the times of the year during which they attend synagogue—causing synagogue attendance to soar. Erev Yom Kippur is the day preceding Yom Kippur, corresponding to the day of the Hebrew month of Tishrei. This day is commemorated with additional morning prayers, asking others for forgiveness, giving charity, performing the ritual, an extended afternoon prayer service. Leviticus 16,29 mandates establishment of this day on the 10th day of the 7th month as the day of atonement for sins. 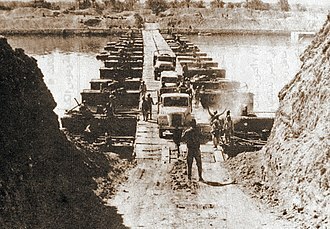 Egyptian vehicles cross the Suez Canal over one of the bridges, October 7, 1973. Egyptian soldiers on the east bank. Notice the carts. Pulled by two men, these transports greatly assisted in the movement of weapons and matériel on the east bank, while no vehicles had yet crossed. Egyptian engineers employ water cannons to blast an opening in the massive Israeli sand wall. A post-war photograph of Brigadier General Abd Rab el-Nabi Hafez (Lieutenant-General at the time of the photograph), who commanded all Egyptian forces in the 16th Infantry Division's bridgehead during the battle. He was wounded by shrapnel from Israeli artillery on October 18, and was succeeded by his chief of staff. 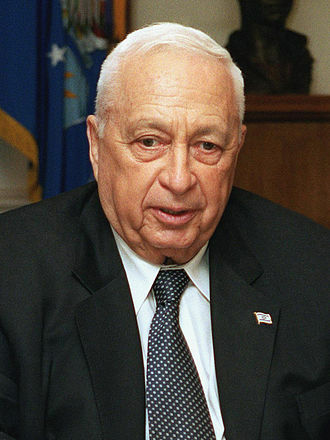 Major General Ariel Sharon, commander of the 143rd Armored Division, photographed here as Prime Minister of Israel. Colonel Abd el-Hamid Abd el-Sami', commander of the 16th Infantry Brigade. As of the night of October 15/16, his unit bore the main brunt of Israeli attacks throughout the battle. Israeli armor knocked out near the Lexicon-Tirtur Junction. 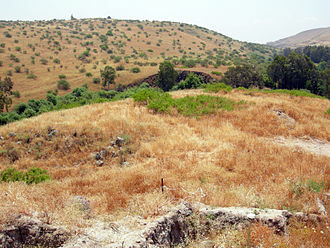 Jacob's Ford battlefield, looking from the west bank to the east bank of the Jordan River. IDF tanks from Sharon's division during the battle. The battle was mostly fought over agricultural areas and farmlands, as opposed to the desert terrain of the Sinai. Russian SU-100 at a 2013 tank biathlon. Majdal Shams, with the slopes of Mount Hermon behind. Tail of an Egyptian MiG-17, one of the seven downed, at Ofira.